Are you looking to recover from the past losses in the business? 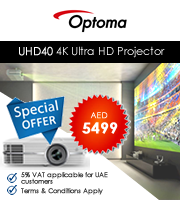 Then you have to buy projectors online that will take the breath away of your clients with your smart and crisp representation. And if you live in areas of the beautiful Middle East such as Dubai, Abu Dhabi, UAE, Kuwait, Jeddah, Riyadh, Saudi Arabia, Muscat, Oman, Doha, and Qatar, we are here with a great solution for your problem. The number one reason to buy BenQ projectors is that they are worth every penny you invest. The brand new collection of BenQ projectors is trendy, stylish and super efficient. BenQ projectors have one of the largest collections of projectors and they have products which are for all kinds of price ranges. With exciting resolutions and a great range of Lumens and contrast, BenQ is the apt brand for your business. 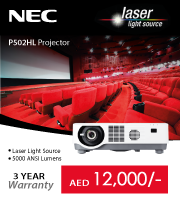 If you are a resident of Dubai, Abu Dhabi, UAE, Kuwait, Jeddah, Riyadh, Saudi Arabia, Muscat, Oman, Doha, and Qatar, contact us at +971 4 4327846 to purchase BenQ Projectors online today.